Readers begin in the Bronx…behind a curtain. There is, however, far more in regards to the “scenery” than you would imagine if you’re seeking a simple “girl in New York” tale. Which is exactly what would and should lead you to read on. Her name is Colette McGovern and she is going through a time in life that is, by all rights, a choice, but a choice that she must live with for the end of time. She is also a graduate student in the field of Christian Theology. Her journey, so to speak, begins when Colette must choose a topic and put together her senior project for Professor Gleason. But the last thing Colette wants to do is really throw herself into the topic. As she, herself, states, she didn’t care if her topic was about the man on the moon, just so long as it was unexciting and at a time in history that was so far back no one would care too much about it. In other words, get the grade and get out…of both school and the Bronx, which is exactly what Colette is yearning to do. Thus, she picks the Council of Trent as her theme, and even Gleason could care less, thinking that particular period to be nothing more than confused and boring. Colette’s mother’s name is Patricia. She is what some in today’s society would deem “a die-hard Catholic.” She knows the Latin Mass by heart, attends it regularly, and likes to speak at home in Latin, feeling as if it brings her closer to Colette’s father who has passed away. In addition, Mom also acts a bit like an Agatha Christie character, as if searching for clues to what her daughter’s temptations and sins really are. Colette’s dreams at night are beginning to get highly haunting. One night she has a dream that truly confuses her and she decides to set up an appointment with the campus counselor, Mr. O’Connell, to see if he can offer any help. What Colette turns to more, however, is her dream journal; recordings made about what she sees and feels while sleeping. The scope of her visions include everything from negative feelings to historical time periods with a cavalcade of characters, and Collette (along with the reader) finds herself literally taking a trek through time. Colette searches to better comprehend everything from the Council of Trent to Catholicism, to somehow reinstate or bring back her own spirituality which has dissipated. Utilizing everything from religious viewpoints to mythological beliefs, she strives to discover the feminine in Christianity. Only, she stumbles upon more questions as she attempts to gain the understanding she lacks in order to grow, mature, and live life to the fullest. The writer has done an incredible job delving into subjects that are a bit hard to deal with. Through his character’s eyes, he also allows for beauty and richness from the mystical/mythological world to enter into the text in order to keep the story fresh, introducing people like Boccaccio and the Renaissance crowd. Readers see the struggle that Colette faces in a male-dominated religious landscape, and watch her meet up with and revel in the feminists who, throughout the ages, became true heroes who stood up against patriarchal societies and the Church during their lifetimes. 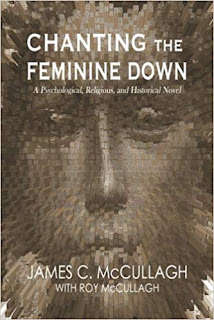 The title is completely factual for this drama that states it to be a “psychological, religious and historical” novel. Because after reading about Colette and her “travels,” you will completely see all three paths taken in order to create this extremely profound book. Quill says: A well-done drama spotlighting provocative questions that still reside in the human consciousness today. Get Your Author Biography Page Now!